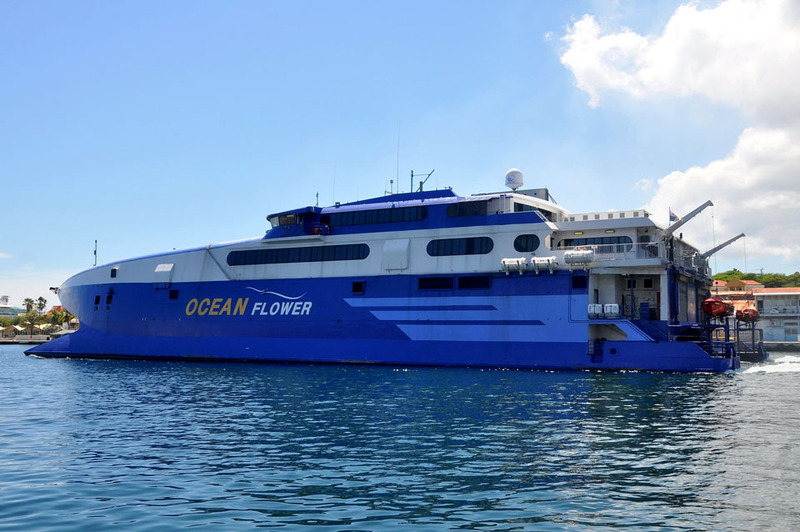 May 26th 1996: Delivered to American Fast Ferries Ltd, Nassau, Bahamas. Chartered to Stena Line Ab, Göteborg. June 28th 1996: Arrived at Dover from Tasmania. 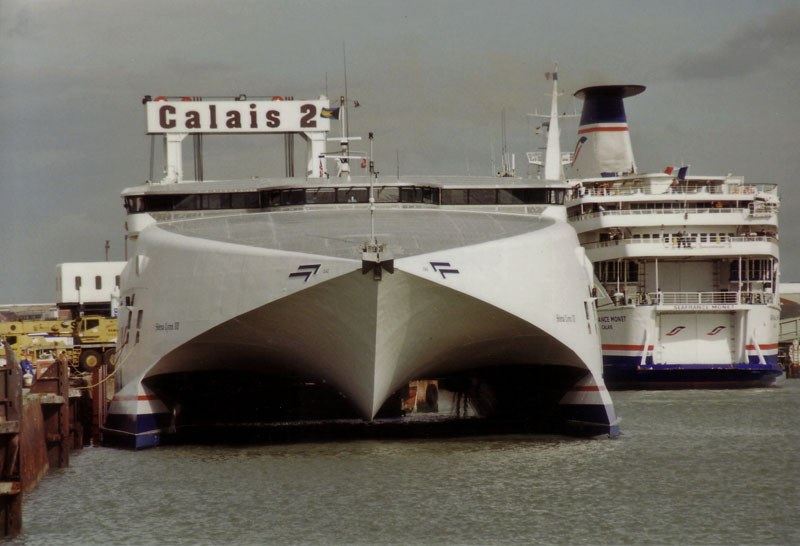 July 4th 1996 – March 22nd 1996: Operated between Dover – Calais. July 9th 1996: Christened in Dover by television personality Anthea Turner. 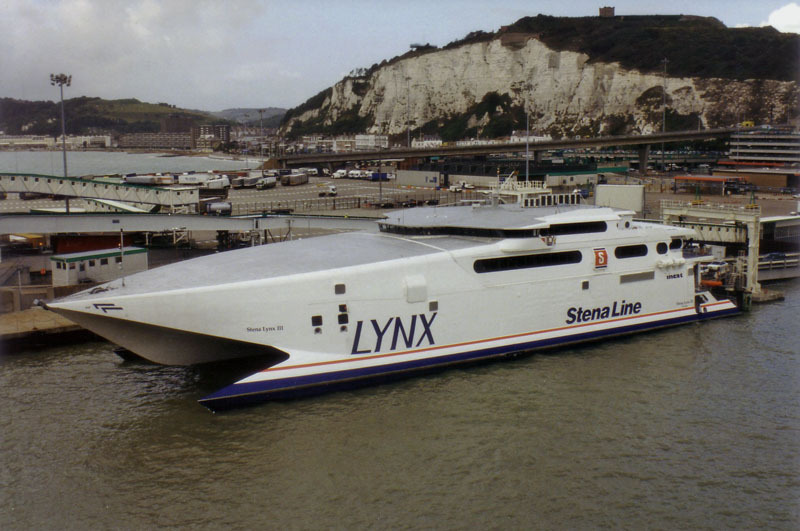 March 26th 1997: Commenced service between Newhaven – Dieppe. 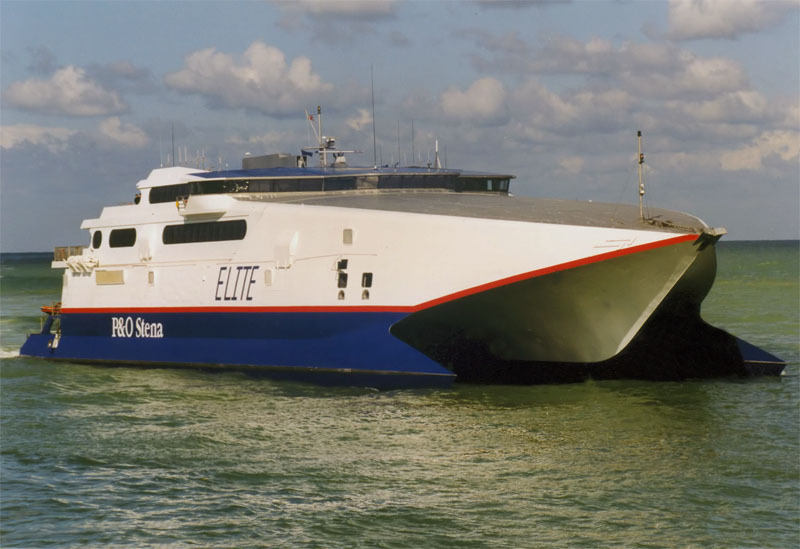 March 10th 1998: Transferred to P&O Stena Line and renamed ELITE. 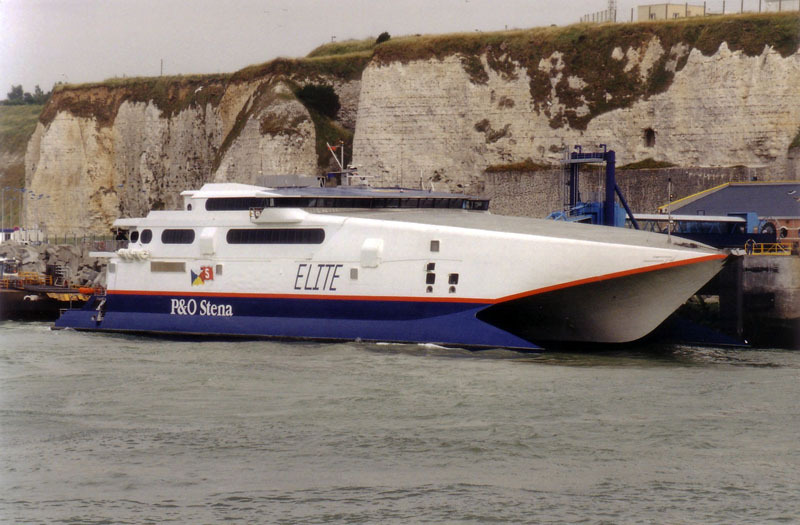 Still operated Newhaven – Dieppe. 1998: Registered to P&O Stena Line. Renamed P&O STENA ELITE. 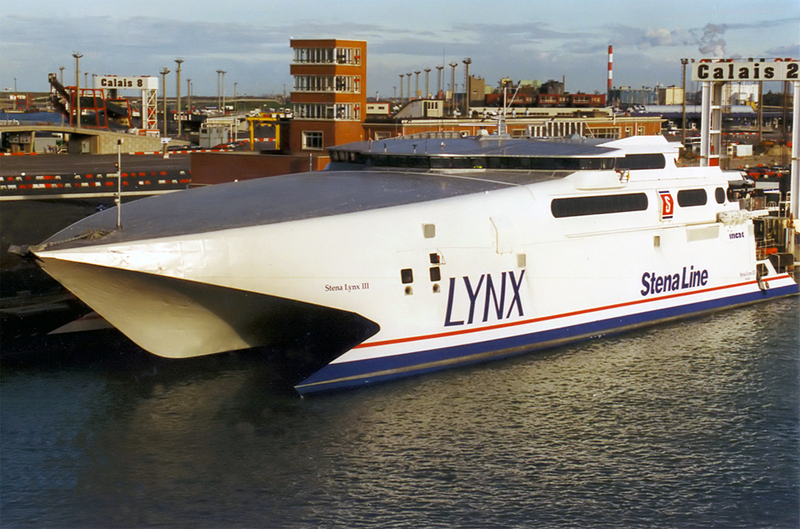 November 1st 1998: Renamed STENA LYNX III. 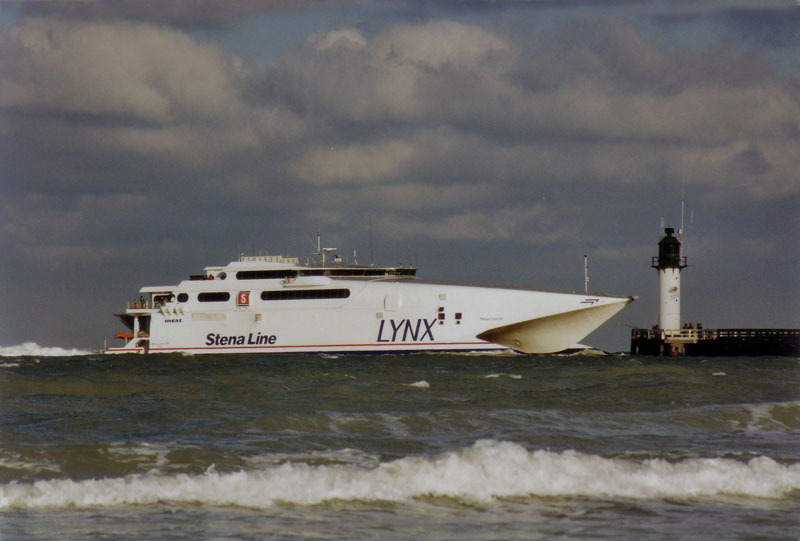 December 7th 1998: Commenced service between Fishguard – Rosslare. October 2002: Laid up for the winter at A&P Tranmere Basin, England. 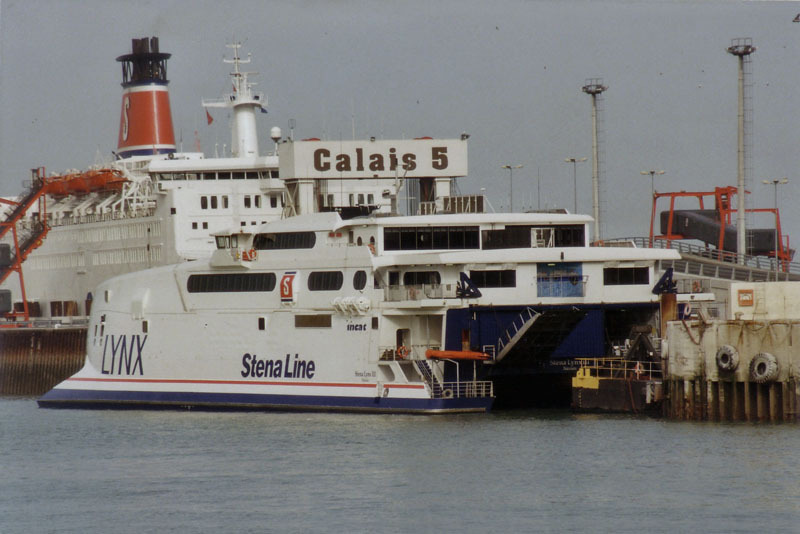 2003 – September 27th 2003: Operated between Fishguard – Rosslare. 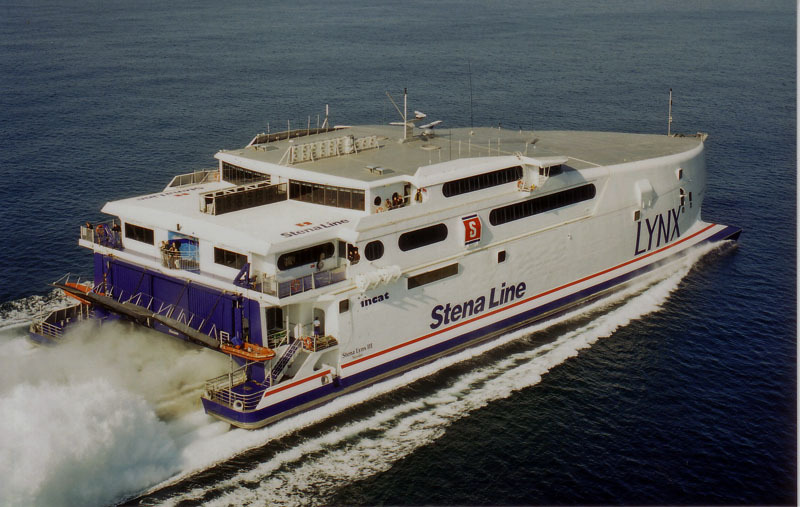 September 28th 2003: Charter to Stena Line completed . Renamed ELITE. Left Fishguard for A&P Birkenhead. September 28th 2003: Laid up at A&P Birkenhead. 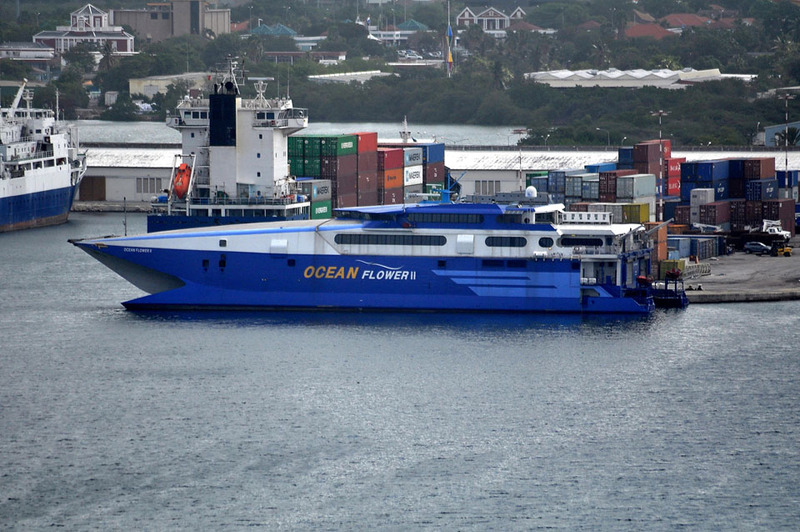 2004: Sold to Stena Line, Nassau, Bahamas. 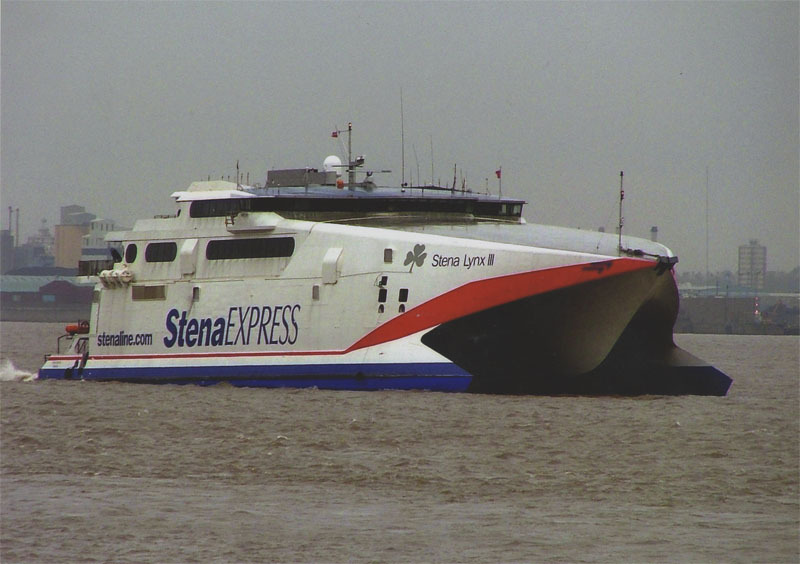 March 28th 2004: Renamed STENA LYNX III. March 28th 2004: Left Belfast for Fishguard. 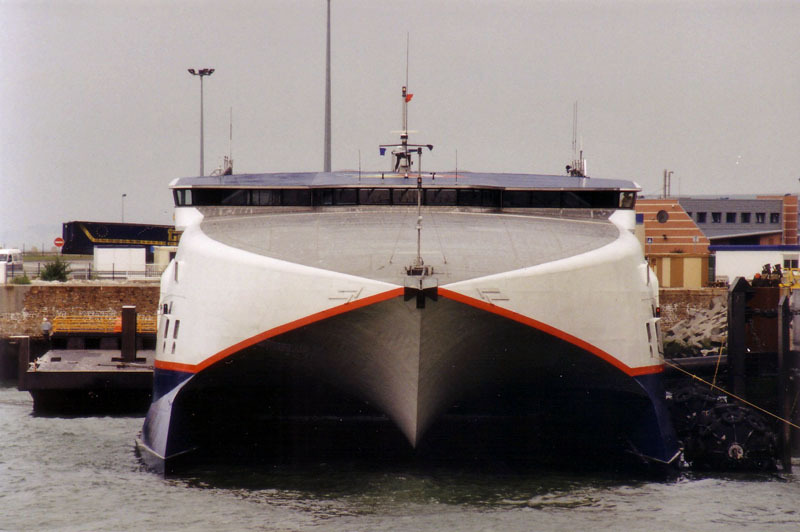 April 4th 2004: Commenced service between Fishguard – Rosslare. September 29th 2004: Laid up for the winter at A&P Appledore. 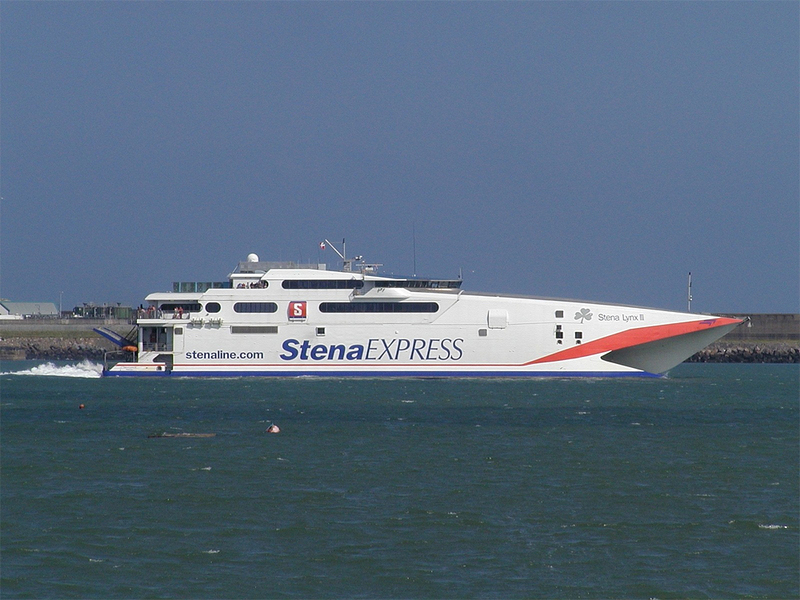 April 2005 – September 2005: Operated between Fishguard – Rosslare. 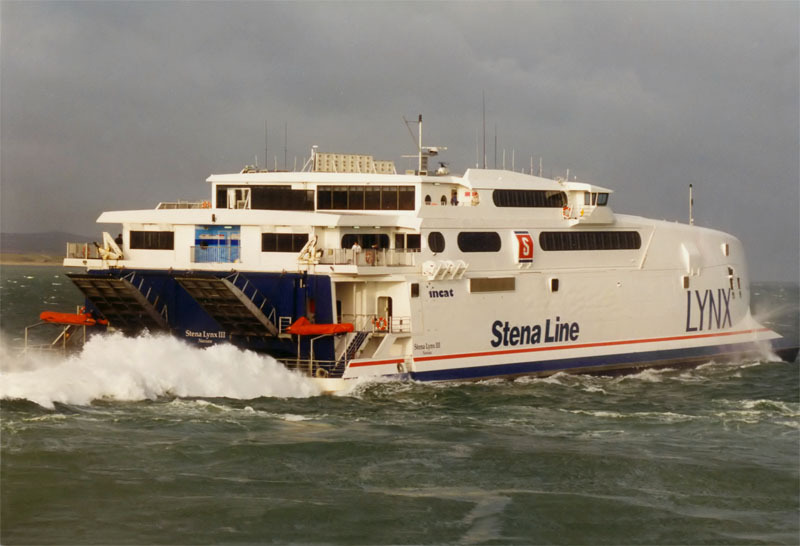 April 24th 2006 – September 25th 2006: Operated between Fishguard – Rosslare. October 2006: Laid up at NSL Bidston. 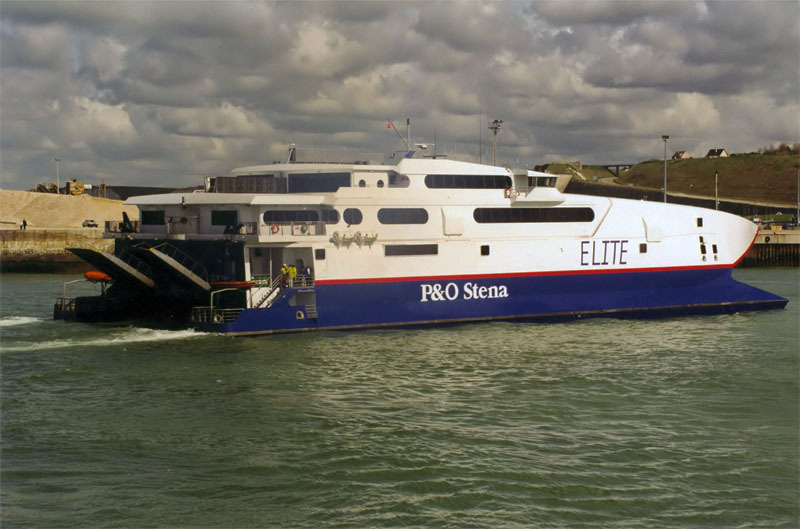 May 2nd 2007 – September 23rd 2007: Operated between Fishguard – Rosslare. 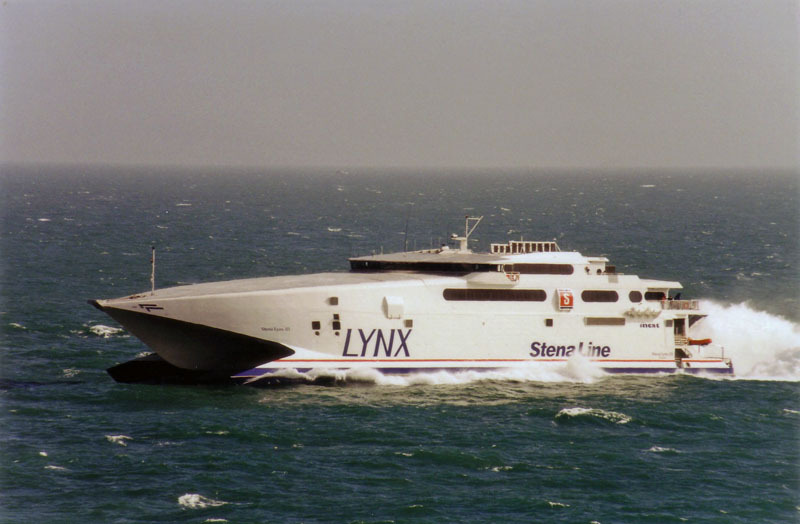 January 1999: Operated Holyhead – Dun Laoghaire. February 1999: Belfast – Stranraer. September 2007: Laid up at NSL Birkenhead. May 2nd 2008: Commenced Fishguard – Rosslare. August 6th 2008: Experienced engine problems. September 28th 2008: Finished her 2008 season. 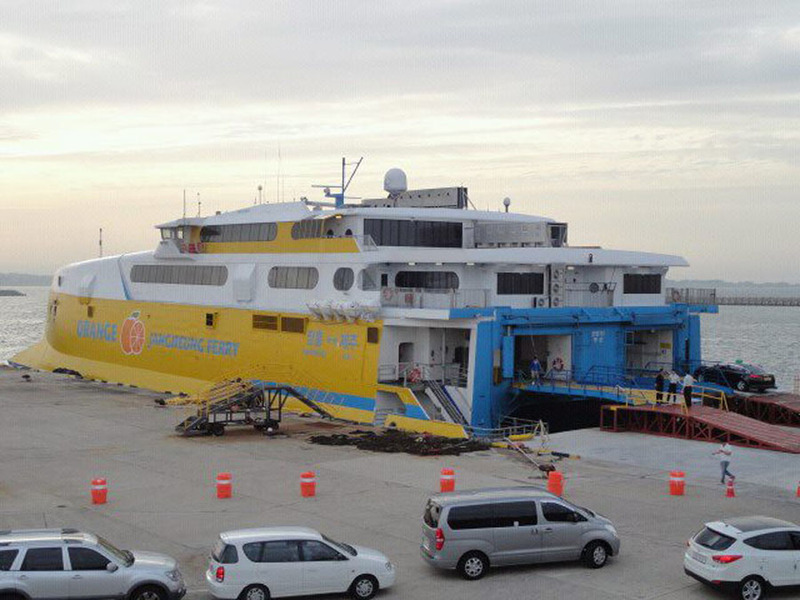 Anticipated she would resume service again in late April 2009. Expected to lay-up for the winter at Fishguard. 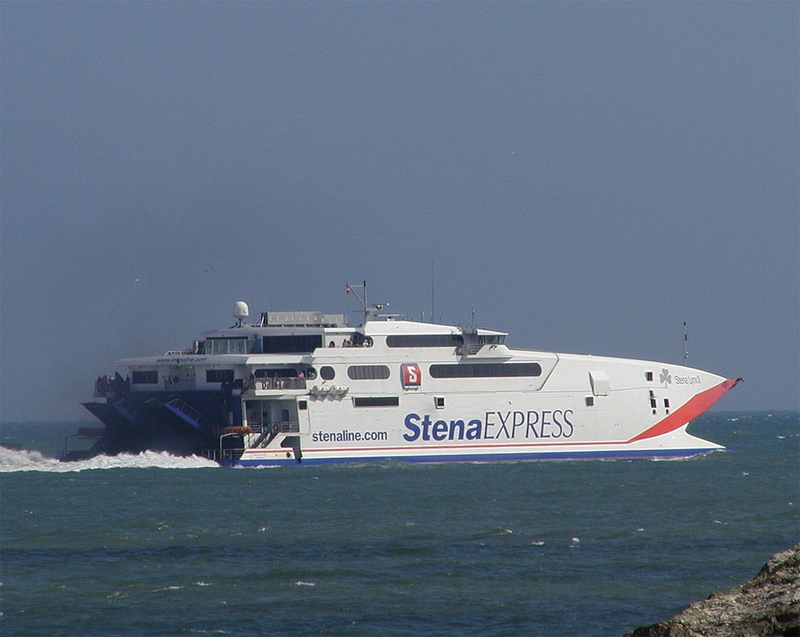 May 14th 2009 – September 2009: Re-enters service between Fishguard and Rosslare then lays up in Dublin. February 19th 2010: Damaged following a collision with a shore installation in Holyhead. March 15th 2010 – September 5th 2010: Services between Holyhead – Dun Laoghaire. September 7th 2010: Left Rosslare for Dun Laoghaire. September 8th 2010 – January 2011: Services between Holyhead – Dun Laoghaire. 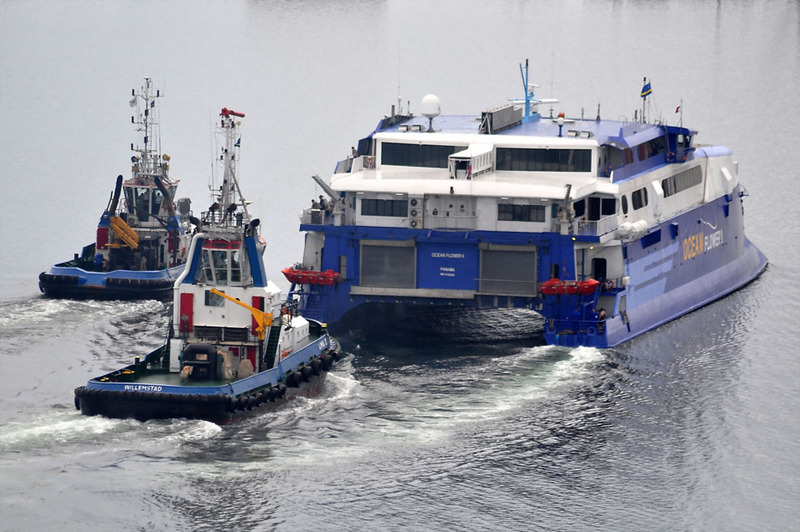 April 1st 2011 – May 26th 2011: Serves between Holyhead – Dun Laoghaire. 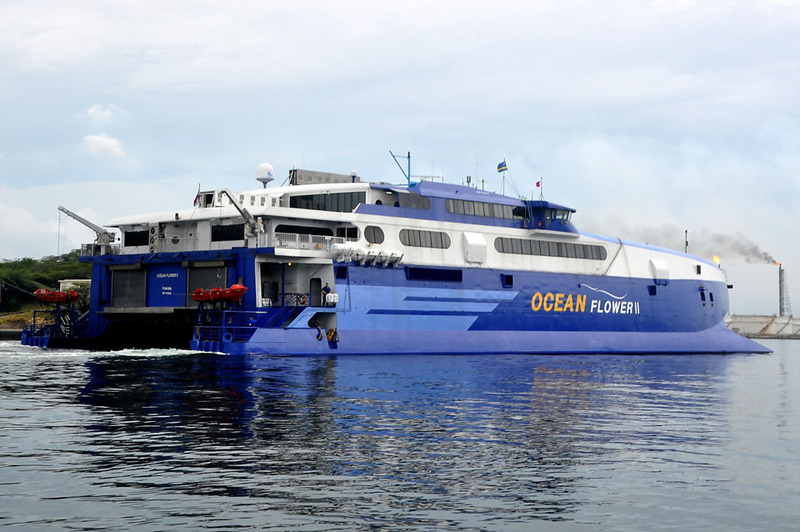 July 1st 2011 – September 4th 2011: Services between Fishguard – Rosslare. 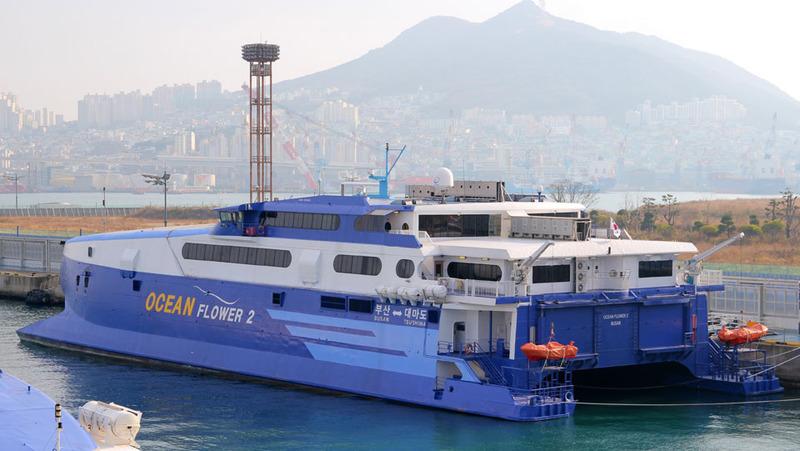 October 2011: Sold to Dae-A Express Shipping Ltd, Pohang, South Korea and renamed SUNFLOWER 2. October 21st 2011: Departed Dun Laoghaire for South Korea. December 21st 2016: Currently in Busan, South Korea and since 10/12/2016 operating Busan (Korea)-Tsushima (Izuhara, Japan) route. June 26th 2017: Sold to Bridgemans Trinidad LP and registered under the Panamanian flag. 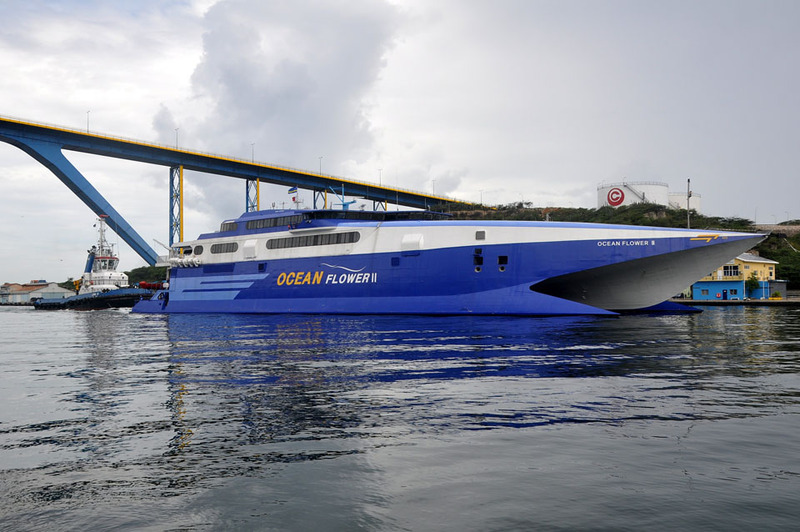 July 4th 2017: It was announced that the vessel has been chartered at a reported cost of US$26,500 a day to the Port Authority of Trinidad and Tobago (PATT) to service the seabridge between Trinidad and Tobago (trading as T&T Express). 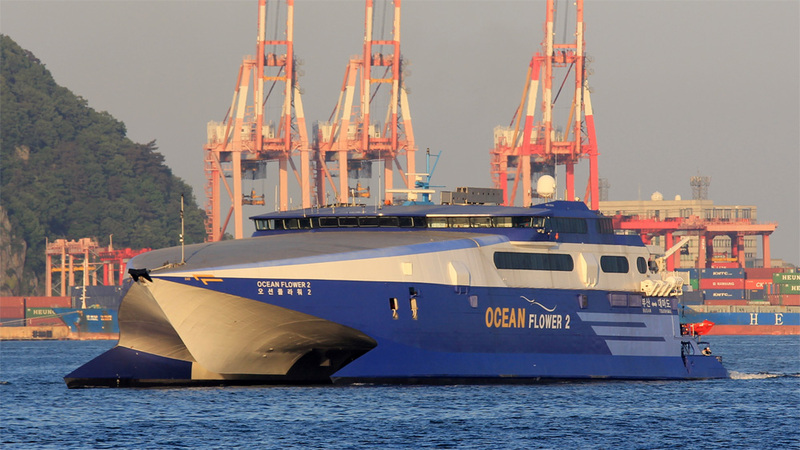 She is expected to enter service in September 2017. August 21st 2017: Arrived at Damen, Willemstad for refit. September 6th 2017: Sea trials at Willemstad. All information is believed to be correct and no responsibility is accepted for any errors or omissions found. All items included in this article are subject to © copyright. We would like to take this opportunity of thanking: Cees Bustraan, Ian Collard, Lappino, Justin Merrigan (sealink-holyhead), Stéphane Poulain, Robert J Smith and Andreas Wörteler for their assistance in compiling this feature. 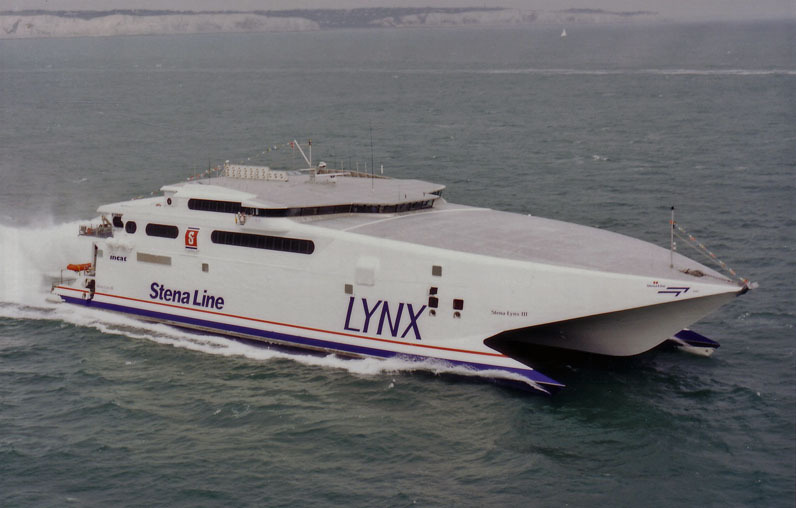 I am following up on information you posted concerning the HSC Stena Lynx III page. 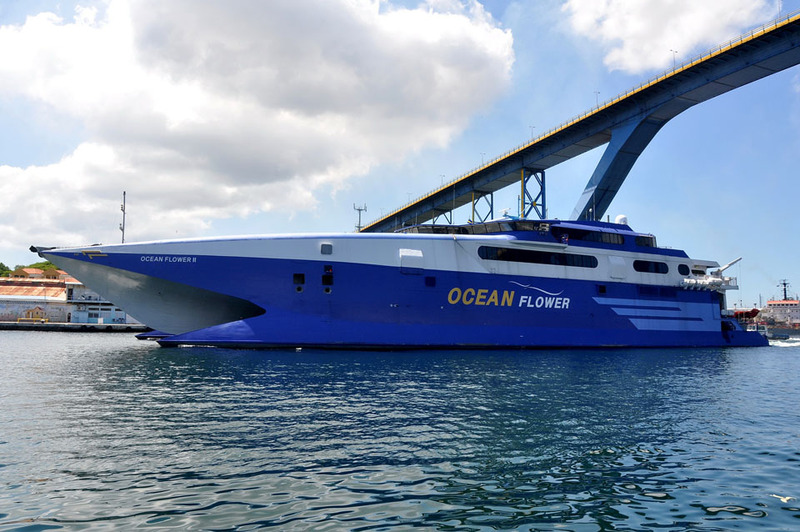 You stated that the ship was sold to Bridgemans Trinidad LP on June 26th 2017. Do you know where I may be able to get information concerning that sale? Any information provided will be greatly appreciated. Sorry we have no personal knowledge of this information which came from http://www.trinidadexpress.com/20170806/news/devant-wants-integrity-probe. I suggest you contact sandhya.santoo@trinidadexpress.com the author of the article.